Past simple revision. Key and Audio file link provided. 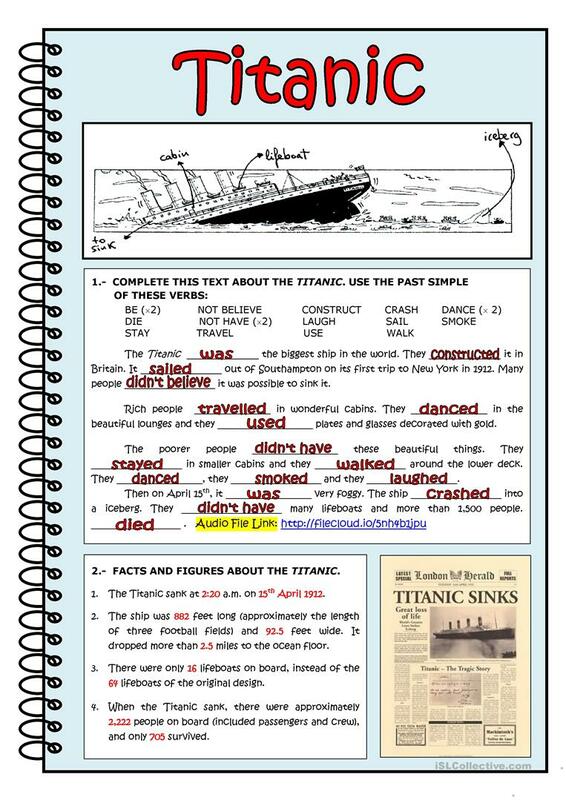 The second exersise is useful to read figures and learn facts about the titanic sinking. 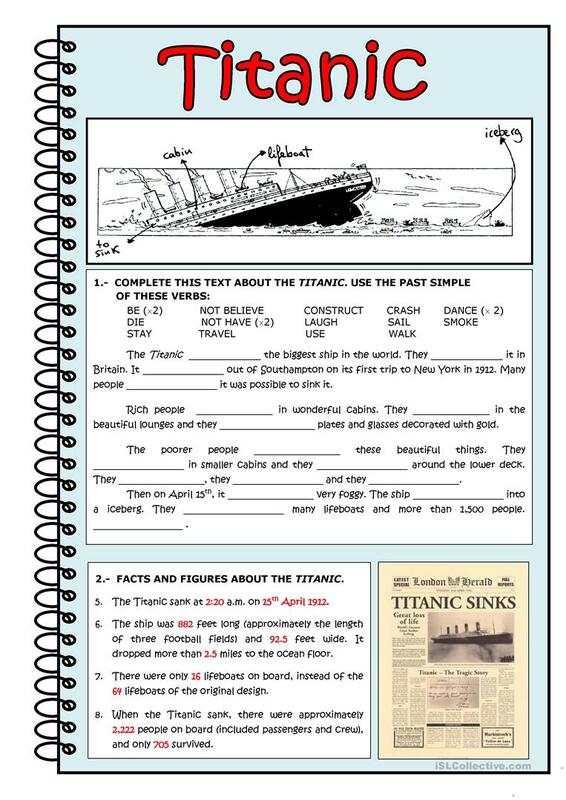 The above downloadable worksheet is best suited for high school students and adults at Elementary (A1) and Pre-intermediate (A2) level. It is aimed at consolidating Verb tenses in English, and was designed for honing your students' Listening skills. It features the theme of Storytelling. You will find the answers at the end of the worksheet.